Looking for Magnesium Oil? We love this oil as it is ultra pure and comes from remote source away from man made pollutants. This topical supplement acts like yoga in a bottle to support your body. Great if you want to absorb magnesium 12 x faster than oral supplements through the skin. In this range you will find Magnesium Chloride gel, oil and lotion that can be applied to the skin or magnesium flakes which you can add to water for a relaxing bath. We supply overnight anywhere in New Zealand.Prices are Inclusive of GST (sales Tax). Buy Magnesium Oil Ultra 245ml and get 1 free (SHORT DATED STOCK expiry date 06/19). Use the code ULTRAOILFREE at the checkout. 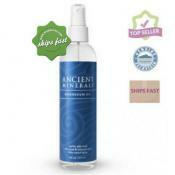 Why Ancient Minerals Magnesium Oil over other brands? No man made pollutants - Magnesium Oil Comes from deep beneath the earths crust where it has been Isolated for millions of years. Before man made pollutants could come in contact with it. Remote Source - Genuine Zechstein Magnesium comes from a depth of nearly 3000 meters beneath the earth's crust. Poweful Source of Magnesium Chloride -The ancient Zechstein seabed was formed nearly 250 million years ago, in the late Permian era. Purest Source - That makes Genuine Zechstein Magnesium stand apart as the purest source of natural magnesium chloride on the planet. 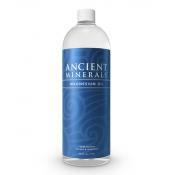 We Are the New Zealand Distributors for Ancient Minerals Magnesium Products. 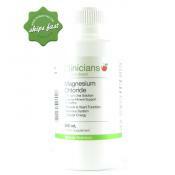 Pharmacy-nz.com imports and distributes Magnesium Chloride Oil Gel and Flakes. If you have any questions please give us a call on 0800 000 980.